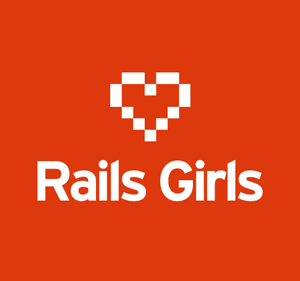 The next website at the day job will be powered by a Ruby on Rails CMS, so I jumped at the opportunity to attend a $5 workshop organized by Rail Girls DC, the local branch of an international organization founded in Finland. To sweeten the deal, the setup party was hosted by Living Social just a few blocks from my office. And the workshop the following day was walking distance from my apartment at the shiny new Silver Spring municipal center. Free food was provided, including vegan cupcakes sponsored by AT&T. These two days delivered! Not only did I pick up enough lingo to assist my interactions with our web developer, my immersion into this collaborative culture gave me some practice with git and exposure to ruby. Experts in the field also gave inspiring presentations and career advice. The ruby coding subculture I saw was a supportive ecosystem in which people solve problems together on online forums and at meet-ups, and share code on github. Despite being largely self taught in HTML and CSS, I learned the value of personal training and being able to ask for help during a 3 hour session of building a ruby blog with helpful volunteer coaches at my table. This $5 course changed my life! There is so much to learn, so little time, but I don't have to know it all. There are plenty of resources out there, all I need is a willingness to learn, a comfort with not knowing yet, and curiosity matched with perseverance. Thank you Rails Girls!